John Deere has developed an electric cable powered tractor, producing up to 400hp. Peter Thomas Keaveney reports. John Deere has developed an electric cable-powered tractor producing up to 400hp. GridCON, a joint project between John Deere and the University of Kaiserslautern, was aimed at using a farm’s own energy. The GridCON tractor is very different to John Deere’s first fully electric tractor, which they presented in 2016. The new tractor has no cab and no rows of batteries underneath the bonnet. 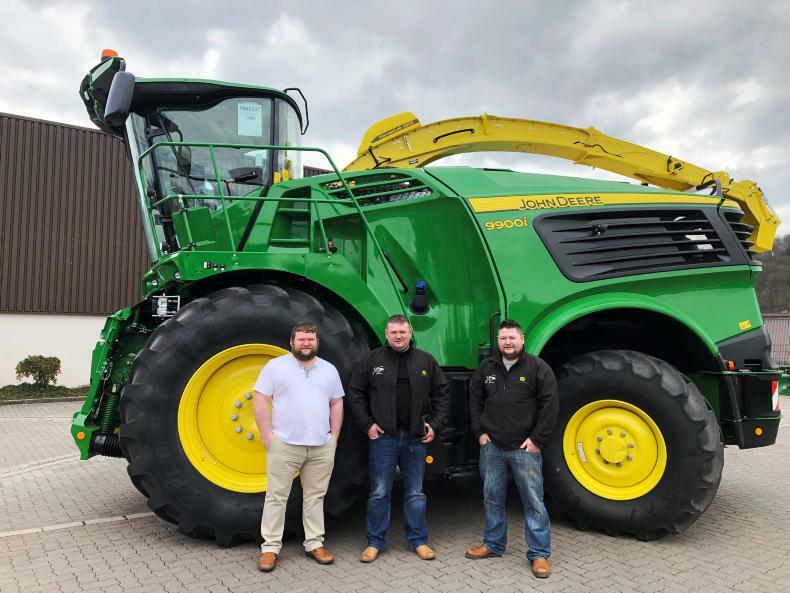 Based on a John Deere 6210R tractor, GridCON uses a cable connection from the field border to the machine, which transfers power continuously at over 300kW. A 100kW electric motor powers the IVT transmission, and there is an additional outlet for implements powered by a 200kW electric motor. 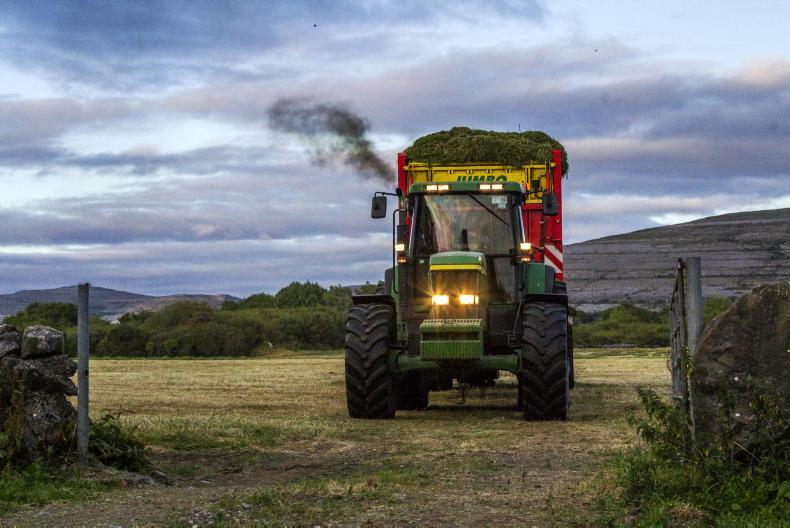 A drum fixed to the front of the tractor carries up to 1,000m of cable, which can be extended. In the field, the cable is fed out and reeled in while guided by a robot arm. 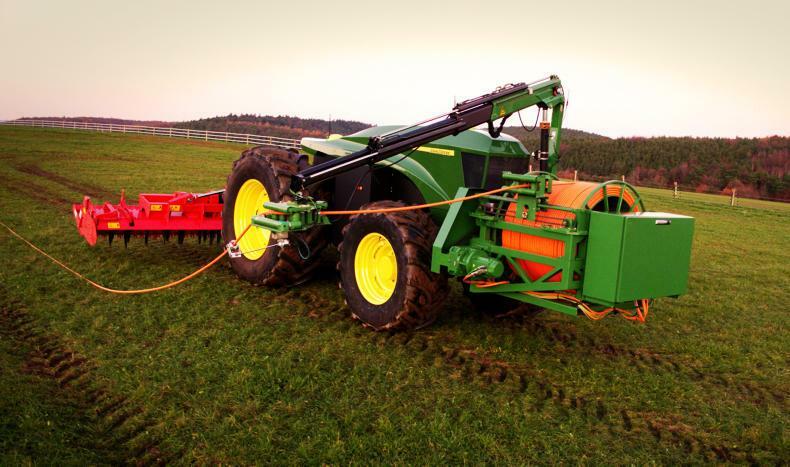 A guidance system is used to prevent the tractor running into or over the cable. When working, the tractor follows pre-set rows autonomously at operating speeds of up to 20km/h (12mph). The tractor can also be guided manually using a remote control. A power supply of 2.5kV AC is required, and the GridCON tractor uses a 700V DC bus for electric power distribution both on-board and for implements. The machine employs a cooling infrastructure for off-board electrical use, while total efficiency of the drivetrain is in the region of 85%. Total empty weight of the working prototype GridCON tractor including cable drum and robot arm is about 8.5t, similar to that of a conventional John Deere 6195R tractor but with twice as much power. 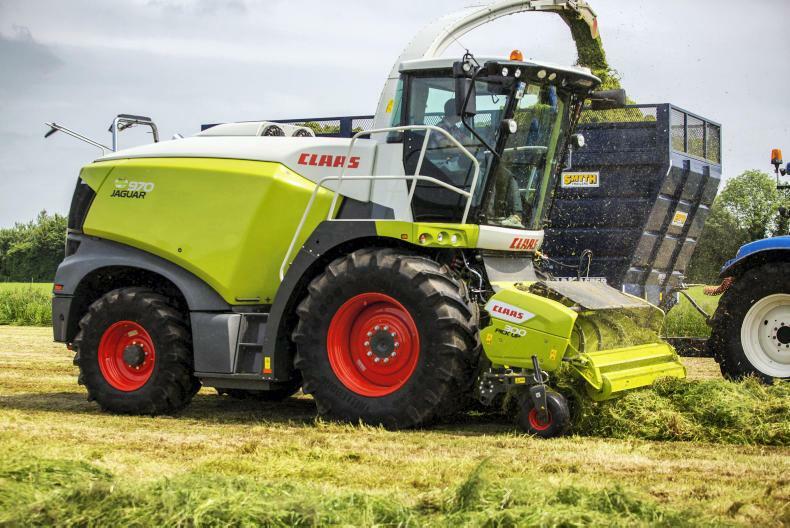 John Deere explained that research engineers are aiming to reduce the weight further by at least 1t. Besides the power-to-weight ratio, the concept is noiseless and emission-free. John Deere also noted that in comparison to battery-powered tractors, the GridCON tractor delivers around 50% lower operating costs.